A stock market, also referred to as the equity market or stock exchange, is an aggregation of traders who interact to buy and sell stocks (also known as shares) of different companies. 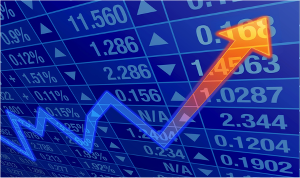 Stock market deals with shares of companies that are publicly listed on the stock exchange. The mechanism of a stock market is similar to any other market in the majority of the aspects: there are two parties, one buyer and the other seller, a stock which is traded and an agreed price. However, since the volume of stock markets is generally very large, deals are effectuated by brokers who facilitate the exchange and charge their own commission on every trade deal executed. An investor in the stock market can range from the small investor who is interested in only a limited portfolio of shares, to large institutional investors (such as mutual funds, banks, insurance companies and hedge funds) who manage billion dollars of portfolio on behalf of others. The beauty of the stock market is that unlike other markets, an investor does not have to be physically present at the market in order to trade. The investor’s physical presence is completely irrelevant as the majority of the deals are communicated and executed over the phone or via the internet through the broker or investment manager. Note: All market capitalizations are as at 31 January 2015. All stock markets use a base currency, which is generally the local currency, to decide on the price of shares to be bought and sold. However, with increased globalization, people from across the globe can trade in stock markets foreign to their country and in order to make easy comparison and facilitate quick decision making, all stock markets have a published capitalisation amount in US dollars. Irrespective of the size or capitalization of market, the purpose of all world stock markets is to provide a common ground to buyers and sellers and facilitate the easy exchange of stocks. No matter if one wants to buy a particular stock, sell off current investments or receive dividends, the stock market is the place to be. Investing in the stock market takes thoughtful analysis on the price of a particular stock. The analysis may look into the stock’s past trend of price fluctuations as well as future projections of possible prices. However, one of the most important terminologies used when dealing on the stock market is end of day stock prices, often referred to as the EOD price. What Are End of Day Stock Prices? End of day stock price is the final closing price of a stock when the stock market concludes its trading activity for the day. Stock prices, on a given day, can swing either like a pendulum or can remain fairly static based on factors such as stock’s trading volume, investor’s perception and overall market performance. However, it is the closing price that analysts are most interested in to project the future trend of a particular stock. A brief examination of different kinds of stock prices an investor may come across on a given day is illustrated below. This is the price of the stock that is first used for trading as soon as the stock market opens on a given day. The price can be particularly important for day traders, who are looking for short-term gains. The other important aspect of the opening price is that it facilitates comparisons with the end of day stock price, quantifying all the intra-day gains and losses experienced by the stock. Typically the stock’s opening price would not be the same as its end of day stock price unless there was no trading in the day. As the name illustrates, these are the two extremes that a particular stock experiences on a given day. Almost all trading screens across the globe illustrate both these prices in order to enable investors to see the complete picture of a particular stock. A share opening at $30 in the morning but touching $40 anytime during the day gives out a possible signal to investors about the expected profitability the stock may bring to the investors in the near future. Similarly, the price of the same stock, having recovered from, say $20, might worry investors a bit as they might be exposed to a slide in the stock price without much recoverability if they hold on to the stock. Though all above types of stock prices are equally important and have their due role in decision making, the importance of end of day stock prices cannot be over emphasized. It is one price that forms the basis of comparison of a particular stock’s growth percentage to the overall market index growth rate. Any significant parity between the two can easily signal an unusual or a temporary trend in the stock price so the investor can tread carefully when deciding on the sale / purchase of the stock. Further, almost all investment software makes use of the end of day stock prices to analyse and depict the important trends of a particular stock to their investors. A company’s market capitalisation is calculated by multiplying the total number of outstanding shares by the market price per share. Companies often opt for measures such as stock splits or reverse stock splits to change the composition of its shareholders and number of outstanding shares. 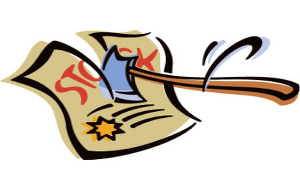 A reverse stock split is a term used to describe a corporate action in which a company decides to reduce the number of outstanding shares by cancelling all its existing shares and distributing new shares to its shareholders. This is done in a way that every shareholder receives in a proportionally smaller number of shares before the split. Working through a reverse stock split example will help to better understand how it works. Say a company has 1 million outstanding shares with a stock price of $2 per share. This gives a total market capitalisation of $2 million. The company then decides on a 1-for-4 stock split, reducing the total number of shares to 250,000. The company’s market capitalization remains the same, at $2 million, however the value of each individual share increase from $2 to $8. So an investor who previously owned 100 shares at $2 apiece will now possess 25 shares with a share price of $8, keeping the investment amount same as before. The primary reason of a company deciding on reverse stock split is the regulatory requirements of stock exchanges such as NASDAQ or NYSE. These exchanges have minimum requirements of share price and companies that are on the verge of going below this level (and hence being delisted) exercise reverse stock split to give a boost to their share price, as explained above. However, this is considered as a negative indicator for company’s future performance. Another factor that may contribute to a reverse stock split is that the company may be trying to change the perception investors have of it. Investors often perceive very low priced shares as poor quality and hence do not significantly trade in such shares. By exercising a reverse stock split, the price per share of the stock increases and investors may then think of the stock as being of higher quality. The company’s market capitalisation (number of shares * price per share) remains the same after the reverse split. Earnings per share (EPS) rises as the same amount of earnings now get divided over a smaller number of shares. Not always, but if the number of shareholders drops below to a certain level, the company may be placed into a different category in terms of regulation by the Securities Exchange Commission (SEC). Although there may be different motives behind a reverse stock split, each with different goals in mind, this sort of a corporate action is generally perceived to be as a negative indicator in the minds of investors. However, how the market actually perceives the company’s decision will depend on the company’s other efforts to sustain and increase its profit level. Should I reinvest capital gains? Capital gain distributions are paid to investors by mutual funds, typically at years end, when during the year the fund has sold holdings which have gone up in price since they were purchased by the fund. Essentially, the profits from transactions made by the funds are distributed to investors that own the mutual fund. However, one question everyone faces when they make such a gain is, “Should I reinvest capital gains or take them as cash?” A careful study of pros and cons of re-investing capital gain payments will help you make an informed decision to this typical question. 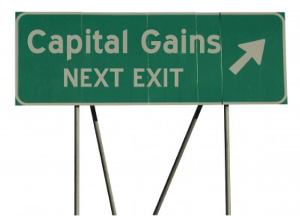 One of the significant advantages of re-investing your capital gains is that the amount available for investment amount increases and so does the return on it as the reinvested gains forms the engine of a growing portfolio. All that needs to be done is simply instruct your investment manager to automatically re-invest all the capital gain proceeds into your account. Once done, your earnings coupled with initial investment amount work to earn even higher amounts of dividends and capital gains. If you choose to re-invest the capital gain payments, there is no commission (also referred to as ‘load’) amount charged by the investment manager as they generally waive off the sale charges if you include the earnings amount in the investment account. In terms of tax collected by the Internal Revenue Service (IRS) on both dividend income and capital gains, you can exercise the liberty of delaying tax payments if you re-invest the gain back into your investment account. Though you will have to pay the tax on capital gains ultimately when you withdraw the cash from your account, re-investing the amount can help you better plan your tax obligations and payments. You also need to analyse if your capital gain is termed as a short term or long term depending on the holding period (time from acquisition of stock to its disposal) as the IRS has different tax rates for the two categories with short-term gains taxed at a relatively higher rate. The biggest disadvantage reinvesting capital gains is that you do not get anything to spend as the gain is simply used to purchase more shares of the fund, compounding your investment amount to benefit you sometime in the future. It doesn’t reaches your bank account and can not be spent on anything else (until you ultimately sell the shares of the mutual fund). This can be particularly problematic for people who have current obligations to meet and are living off their investments. Another downside of re-investing the capital gain is the risk you take by re-investing that amount. Nothing is certain and experiencing the same percentage gain in future is no exception. So the decision to cash the gain or compound it for even better gain in the future will depend on the particular fund’s future outlook and market circumstances. The eventual decision you take when thinking should I reinvest capital gains will depend on the individual. If the investment has been made for long-term purpose, then it is probably best to re-invest it. However, if you are looking for immediate gains, you should take the exit and enjoy the proceeds in your pocket. Still confused? Ask your investment manager for his/her take on what’s best for you. Managing stocks investment is a complex process that requires a steady approach to manage various securities, while attempting to meet a specified goal with respect to risks and returns on investment. With advancements in technology, the emergence of investment management software as a commonly used tool to manage investments comes as a no surprise. The choice of investment management software is a careful study and analysis of characteristics the software offers. Generally speaking, there are a few threshold characteristics that should feature in the investment management software in order for it to be successful and popular among investors. The factor that tops the list is the software’s ability to provide a wide range of assets classes and instrument types. The investor should be able to use the software as a central platform for managing all kinds of portfolio ranging from equity shares to debt instrument. The ability to respond to client’s requirements in a matter of few clicks is probably the most sought feature in any investment management software. Investment management is a matter of seconds and the user should be able to do on screen simulation, place orders, view cash balances, and evaluate compliance status quickly and efficiently. The whole idea of moving away from manual spread sheets to automated software is the ability to work smartly and quickly. Investment software that does not provide analytical features is of no use to investors. The software should be able to easily analyse gains, losses and the overall performance of stocks over a period of time. Similarly, it should also evaluate and benchmark a particular stock’s performance in comparison to a similar priced stock or with the overall market performance. Another factor to consider when opting for investment software is the cost and time commitments required on the part of user. Obviously all software comes with a direct cost (its purchase price) but the most important cost is the one that is normally hidden: the cost of investor’s time required to learn and excel in the use of software. How much time does the software takes to configure, how user friendly it is and how well it can cater to personal needs of an investor are few of the many questions that each have a cost associated with it. So, if you are in search of a best investment software that features all of the above, Stock Market Eye is the one to go for as it offers you one complete package to get a bird’s eye view of all your portfolios and allows you to spend your time investing and analyzing rather than updating manual spreadsheets. Compare stock’s historical performance with integrated charting. So, get yourself Stock Market Eye, the best investment software and explore new heights of success in stock trading. Researching your stock picks is a necessity if you want to make a wise, informed decision about your investment activities. You may research several stocks before you make a purchase, and it is also a good idea to continue to monitor the activity of each stock in your portfolio on a regular basis. This will help you to determine when you should sell those stocks. While there is not an actual Yahoo Finance stock symbol list for you to refer to, there are a few different ways that you can research stocks through Yahoo Finance. One option that you can use instead of an actual Yahoo Finance stock symbol list is to look up the Index page, such as the page for the Dow Jones Industrial Average. Once you are on this page, you simply click on the link for Components. This is located on the left side of the page. When you click on the Components link, you will be able to view the individual stocks that are included in the index. You will, however, need to know which index the stocks that you are interested in researching are linked to. Keep in mind that this is just one of several indices. An alternative to this is to visit the Industry Center on the Yahoo Finance page. Here, you will be able to view a list of industries and sectors. Then, you can locate individual stocks in the industries and sectors. If you know which sectors you are interested in investing in, this is a convenient way to explore the options in greater detail. While there is not a Yahoo Finance stock symbol list, there is a convenient search function that you can use. You can search by the stock’s symbol or company name using the search tab at the top of the page, and you will instantly see a link that provides you with detailed information about the stock that you interested in researching. This features a chart, stock prices, company operating information and more. There may not be a Yahoo Finance stock symbol list that gives you an all-inclusive list of each stock available, there are several other ways that you can use Yahoo Finance to research your stock picks. Yahoo Finance is a great resource that you can use to help you make informed investment decisions. When you also want to track your investment portfolios while also tracking a large number of stocks, funds, and ETFs, an investment software like StockMarketEye can be extremely useful. Regardless of the current size of your investment portfolio, you understandably want to keep a close eye on the stock market. The market moves by the minute. While some fluctuations may be rather mild, others can be significant or even severe. Monitoring market conditions can help you to better determine when to buy and sell shares. You may need to monitor market movement as a whole, but you may also need to watch the stocks that you own as well as those that you are interested in purchasing in the near future. The Yahoo finance stock ticker is a convenient tool that you can use to stay apprised of market conditions and fluctuations. The Yahoo finance stock ticker provides you with real-time data about the stock market in general. This includes the S&P 500, the Dow and the Nasdaq. The ticker also provides you with specific information about important investment options, and this includes the value of the U.S. dollar, the bond rates, the cost of commodities like crude and gold and more. In addition, you can also opt to view data in other areas of the world, such as Europe and Asia. Many savvy investors are taking advantage of foreign investment options, and the Yahoo finance stock ticker is a fully functional tool that you can use for all of your monitoring needs. There is also a search function that lets you input a specific stock symbol to receive detailed information about that stock option. Because the Yahoo finance stock ticker can be viewed on a web browser, you can easily stay updated on the latest market conditions through the ticker. For example, you can keep one page of your browser open to this website, and you can refresh it as needed. You can also use your smart phone or other mobile device with WiFi functionality to view the page periodically throughout the day. You simply cannot make an informed decision about your portfolio and investments if you do not monitor the markets. The Yahoo finance stock ticker makes it easy for you to pay attention to market changes so that you can make wise decisions about your investments. When you start to track more and more stock ticker symbols, while also monitoring your actual investments, using an investment tool like StockMarketEye can be a great boon. Building a successful stock portfolio is not magic. It is the culmination of a series of thoughtful actions that help to ensure that you are placing your money where it will most easily grow. Finding the right investments may take some research and time, but you will be rewarded with increasing returns for your effort. Investing involves a certain degree of risk. Each person’s risk level is different than another’s. You may be highly risk adverse, while someone else might be willing to roll the dice for higher returns. Different types of funds entail different levels of risk. Your age may have a significant effect on the investments you choose. Younger investors have the time to wait out a bad investment in hopes of a better return in following years. Older people do not have the time to wait for a long-term investment to turn around. They may also need access to their money sooner. A number of formulas are available to help you determine how much of your money to allocate in each type of investment. Stocks – Stocks are shares in individual companies. Although many stocks have a solid record of continuous growth, the stock of other companies may be subject to severe fluctuations in the market. Bonds – Bonds generally produce solid growth, at a lower rate of return than individual stocks. Mutual funds – Mutual funds are collections of types of stock. This grouping of stocks allows the risk to be spread over a greater number of stocks to ensure that some increase in return is always likely to occur. ETFs – Exchange traded funds, often called ETFs, are stocks that track a certain index, such as the S & P 500 or the Dow Jones. These groups of stock closely track the performance of these indices. They are similar to an index fund, but cost less to trade. Once you have allocated the money in your stock portfolio, you will have to maintain a good balance of investments to increase returns. Most people who invest also monitor their stocks’ performance on a regular basis. This scrutiny can be done more easily with computer software, such as StockMarketEye, which can help you find the best entry points for purchasing new stock. Technology has given both the professional and the novice great opportunities for trading on the stock market through the use of stock market applications for the computer. 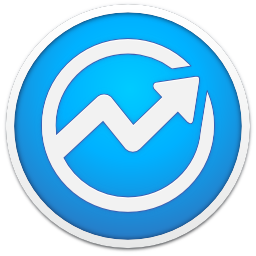 Stock software simplifies tracking companies, trends and stocks. While skill, talent, patience and a certain amount of good fortune are still critical aspects of success, these technical solutions help the investor gain insight about potential trends and how to utilize them in future investment decisions. The selection of stock software should be tailored to the investor’s style of trading. There are a range of programs with unique and diverse functionality designed for trading. Investors can choose a solution that performs a specific task or series of tasks. Choosing the right one requires that the investor understand the software’s purpose, reliability, cost and ease of use. To start, your stock software should both watch for potential buys and track current portfolios. It should be able to do so with sophisticated features that are simple to use. There should be the ability to compare stocks and market sectors. It would be beneficial to have software that evaluates past and present prices, identifying patterns and trends, helping to establish a stock’s near future direction. Even as you evaluate the viability of any stock software, look for a series of standard tools. 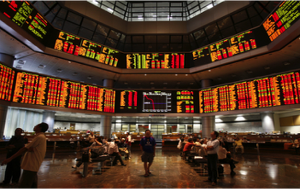 Good software provides access to accurate and timely data on stocks, currencies, funds, ETFs, indexes and more. You also want a solution that quickly generates stock charts and provides relevant stock price alerts. This data can be configured in formats that accommodate the investor’s preferences or needs. Stock market software can provide fundamental searches and ratings for earnings, market cap, dividend growth and other essential factors, using a range of variables that even the most seasoned investor may not take into account. It can use formulas to sort stocks or analyze an industry or sector. It can explore past performances of mutual funds and ETFs and anticipate future results. As stated, no stock software is infallible. While it can certainly be advantageous for the investor’s strategy planning, even the most technical analysis is only a prediction of a stock’s price move. Investors will still need to be alert, managing market events and changes. Software certainly uses the theory of supply and demand, but it takes a smart investor to know the best ways to use that information. Part of choosing the right stock is to look at past trends. When you use stock charting software, you can effectively analyze a stock’s highs and lows in recent times to make an educated decision. The past price movements can be an indicator that movement is coming in the future or that it is best to stay away from the stock because of how it has performed in the past. A stock charts software tool can help you when you want to watch how the market is currently performing or review historical performance when making your investment decisions. If you have your eye on a few different stocks, it is important to compare each option so that you can make the best choice. Stock charting software can help you quickly and easily compare two similar stocks side-by-side, showing you the relative strength of each stock. You’ll then be equipped with all of the information that you need to make an informed choice. You do not have to be in a long-term bull market to invest. There are smart investment options in bear markets if you make educated choices and choose stocks with the right characteristics. A stock charts software program will give you access to the technical indicators so that you can analyze whether or not a stock is good for those bear market strategies. Hiring an expert investment advisor will cost you money on every investment choice you make. By learning the basics yourself, then practicing investing (either with real or pretend money), you’ll improve your chances of making money. By reading all you can about investing and the markets, as well as using tools such as StockMarketEye, you can take yourself from rookie investor to experienced investor, bettering your chances of making winning investment decisions. By using technical analysis and historical price charts, you can get a head start on your investment research. You’ll get perspective that can help avoid losses, make smarter long-term choices, and even show you short-term trade opportunities. Stock charting software are useful tools that smart investors use to increase their knowledge of the investments they are interested in. If you want to trade like a professional, get your hands on a solid stock charts software, learn the basics of technical and fundamental analysis, and put your self on the path to picking winning investments.